It is well documented that the main advantage that the Sega Genesis held over the Super Nintendo was processor speed. It lagged in almost every other functional category. Depending on the genre of game, this may or may not be an issue. For games that are action-oriented, the processing speed is a boon over graphical or aural prowess. 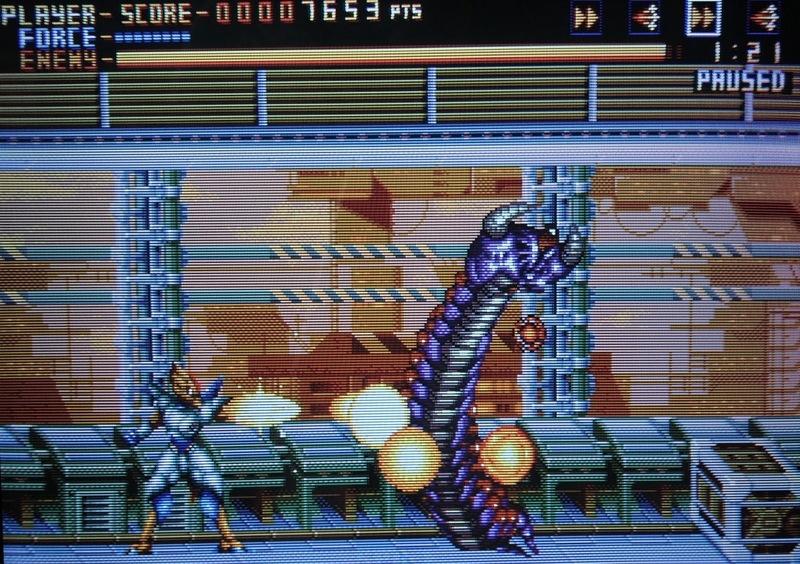 Known for its plethora of shooters, the Genesis actually doesn't have nearly as many run'n gun games as you would think. Nevertheless, the ones it does have are great. Here goes. 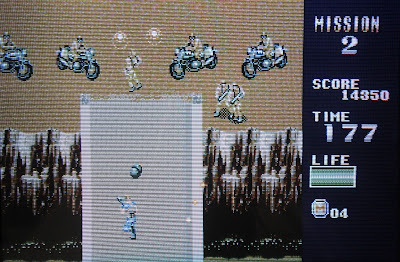 Considered by many a Contra clone, Midnight Resistance does show signs of general 1990's "me-too"-ism. It borrows the keys-for-power-ups concept from Heavy Barrel, an earlier Data East entry on the NES. Between stages you trade in keys for a new weapon. 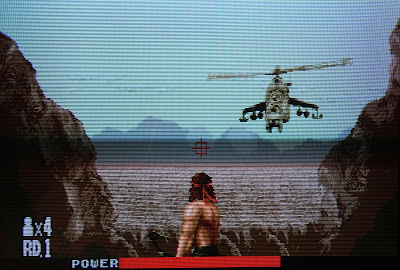 The protagonist is head-banded just like Rambo. Having said that, the control scheme is a little unique, by locking your fire at whatever angle it was in when you started firing, or other control schemes that are selectable at the start. The jumping is a little floaty, but once you get used to it you don't notice it anymore. 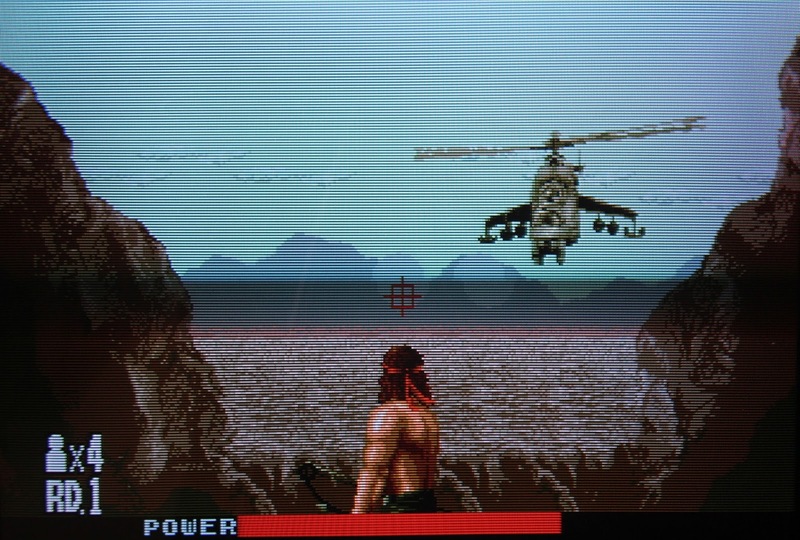 The music is a strong point, and the graphics are sharp, albeit simplistic. A fun entry for sure, just not one of the best. This game is known as Assault Suit Leynos in Japan. You pilot a mech that is on the front line of defense from an alien invasion, yada yada. Your mech has a vulcan machine gun that needs to be reloaded when it runs out (a nice touch), and other weapons that are useable later. You can jump and hover, and punch enemies for close quarters melee. Even though your avatar is a mech, which would supposedly weigh many tons, the movement and physics feel perfect for a game like this; the sense of inertia and momentum are satisfying and realistic enough. 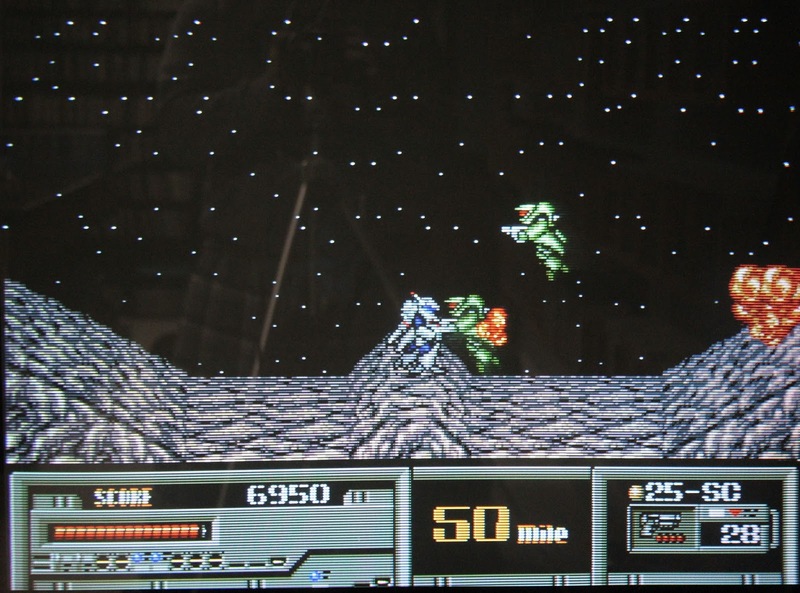 The gameplay varies from ground battles to flying in space. This game is a lot of fun, but it is very difficult. Had the difficulty been toned down a bit, and the box art been made a little closer to the Japanese box art, this probably would have been a more poplar game. Even so, you can use a Game Genie just to make it to the rest of the game, which is worth seeing. 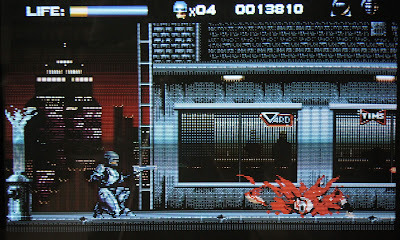 This game had a follow up on the SNES, titles Cybernator, which is also criminally overlooked. Pure indulgence for sci-fi action movie fans, this title is based on the comic series which is based on the movies. 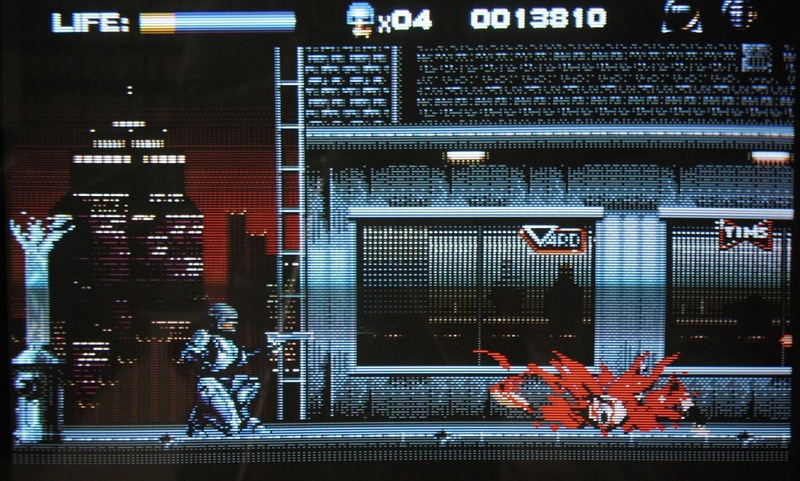 The game plays faster than you expect, for a half-ton cyborg in a platformer-shooter. Seeing Robocop hang from and hand-over-hand climb across powerlines (!) defies all educated physics, but whatever. The graphics and scenery are all gritty and appropriate for the genre with lots of blood. 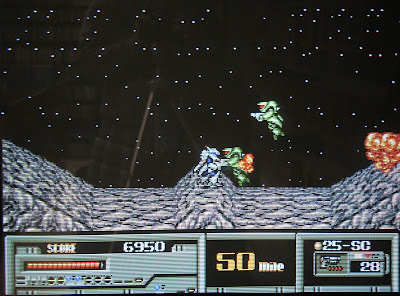 Its a lot of fun, and much better than its SNES counterpart, which doesn't play as fast or as dark. A must have for fans of the movies, series, and genre. 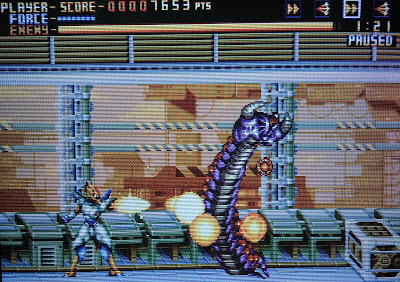 An early release for the Genesis, at first this looks like an 8-bit style game with 16-bit graphics. You are equipped with a machine gun and knife. Kills with the knife often result in pickups, like explosives, which are necessary to complete certain missions. The hit detection is solid, and overall movement is just right. One thing that sets this game apart from its contemporaries is its behind the back third-person views, for bow and arrow sequences, which works nicely to add gameplay variety. Even though the sprites are somewhat small, the graphics convincingly portray what they are meant to, and everything looks great. Hard. That's the first thing I thought when I first played this. Expertly designed, colorful, frenetic, imaginative, and hard. Given that it was devloped by Treasure, it is no surprise that the quality is through the roof. It boasts absolutely gorgeous sprites and backgrounds. The sheer amount of bosses, the ingenuity, and variety are all hallmarks of the famed developer, and its a shame that it did not get a stateside release. The play mechanics of choosing weapons at the start of the stages, dashing, and reversing gravity, all factor in to an intimidating experience. For those willing to put in the time and learn the intricacies and nuances of a game that seems like it could have been an early 5th generation title, you will be rewarded. 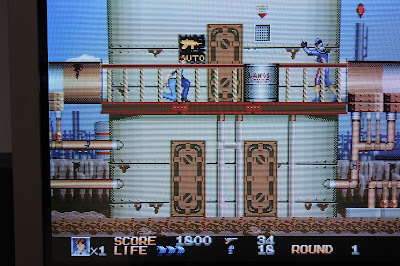 Taking the classic side-scrolling formula, and adding duck and cover elements is what this series is known for (and was an inspiration for the Shinobi series), this final installment perfected the formula. You now can take three hits per life, you can jump and shoot at the same time, you respawn on the spot, and can shoot diagonally. Your choices of firepower are impressive, but you can only use a weapon once, so strategy and experience factor into your decisions. Although easier than the other entries in the series, it is not necessarily a cakewalk. For whatever reason this game and its brethren should get more recognition. 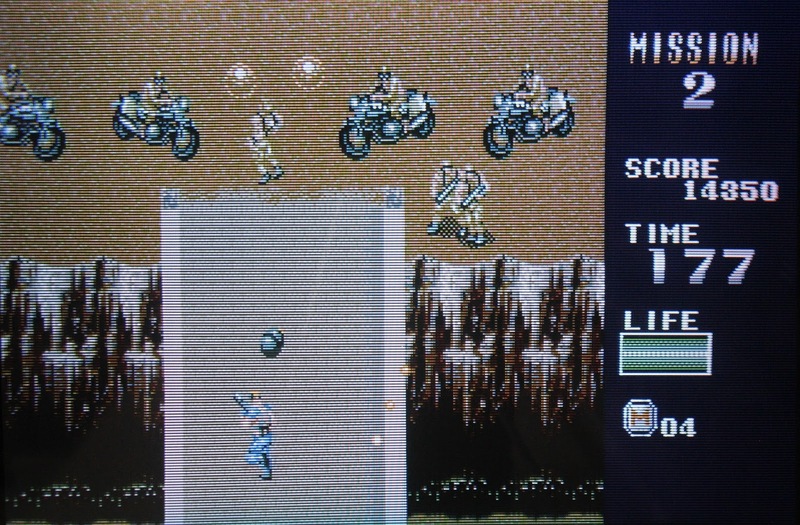 A progeny of Capcom's Commando lineage, Mercs plays like its forbearer but a bit more evolved. 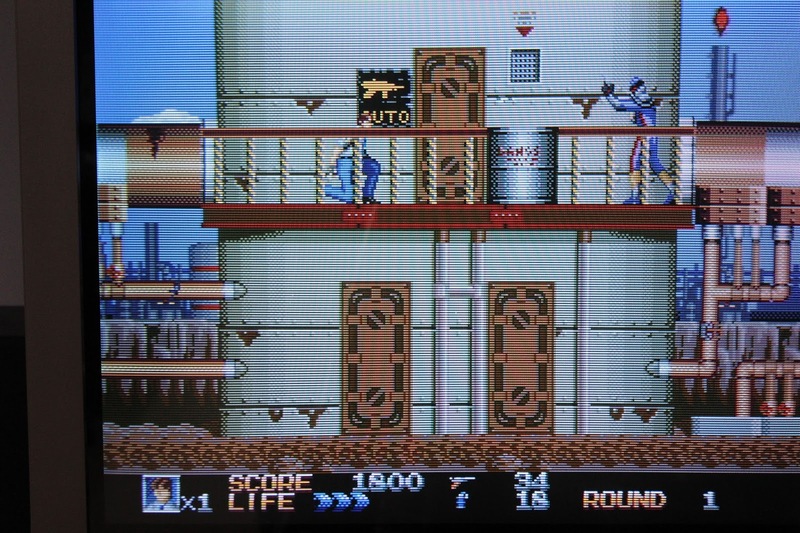 It updated the overhead run'n gun formula by adding a health bar, more weapons, and a shop to purchase powerups. Controllable vehicles have been added like tanks, boats, and gun turrets. 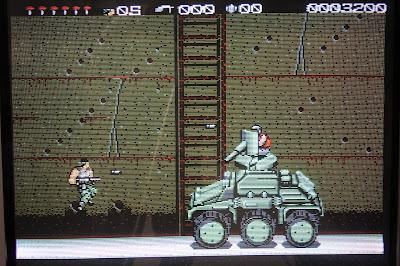 The game offers an arcade mode and original mode. The former is just what you expect: a close port of the arcade and its sentiments. 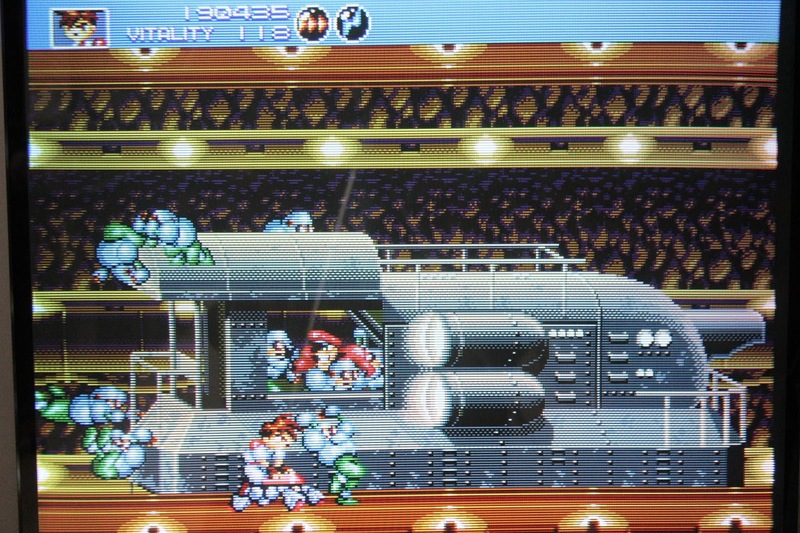 The original mode adds additional characters that are playable once rescued, adding depth. 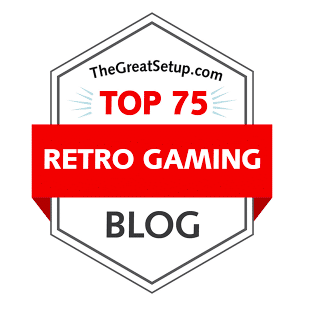 Unfortunately multiplayer has been removed, which knocks it down a few ticks on this list. 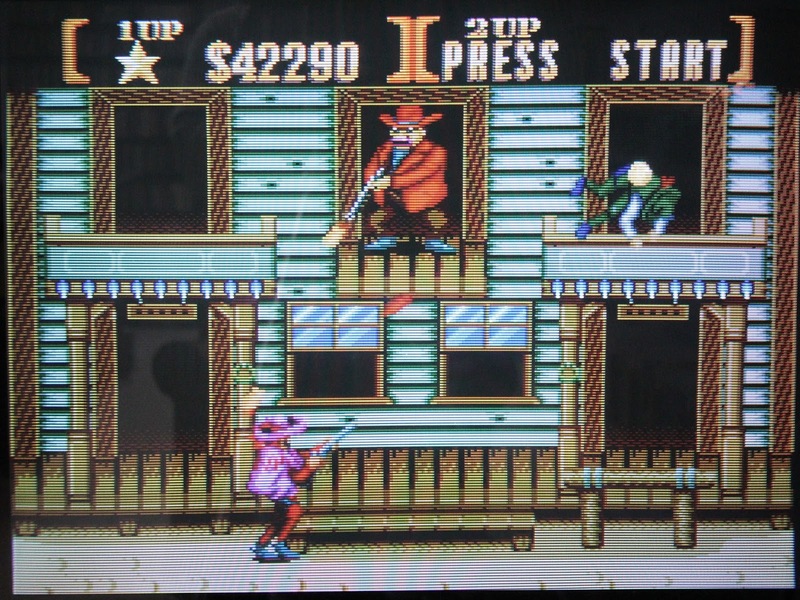 The action in Sunset Riders is everything you want in a run'n gun. 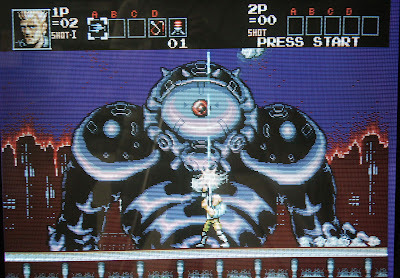 There's beautiful hand drawn sprites, colorful visuals that pop, spot-on control, power ups, and of course two player co-op. Details are are often what make a game, but here they are the icing on the cake. Being able to go into doorways to get "powered up" by the ladies is a not so subtle nod to the seediness of the old west. 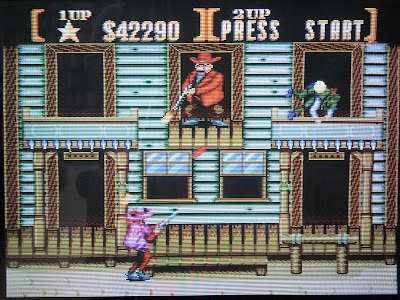 Even though it lacks in some areas compared to its SNES counterpart, it is still a standout title on the Genesis. I'm sure anyone with a working knowledge of the Genesis catalog saw this coming. 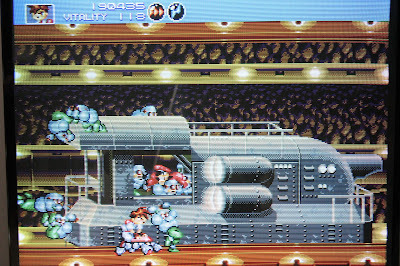 Universally acclaimed, and not one bit overrated, Gunstar Heroes may be the perfect action game. This was Treasure's first game after being founded by ex-Konami employees, and what a beginning. The playability is varied as you can choose whether you can fire on the run, or change your direction of fire when standing. Players can combine weapons for hybrid weapons, producing up to 16 varied combinations! 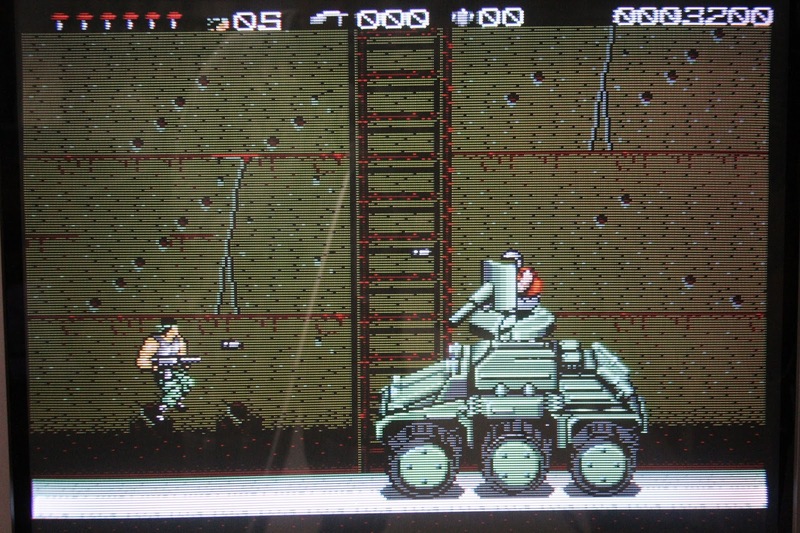 You can pick up and body slam enemies, and throw your partner (2 player co-op) across the screen to maul enemies. Besides the gorgeous graphics, insane weapon combinations, and hyper gameplay, the humor that is present in this game was unprecedented for its time. Seeing enemies clinging to the side of a train as the leader throttles down is just one example of how special this game is. You have a life meter, so it is generally more forgiving than its other 16-bit peers, and some may see that as a detriment, but not me. I have yet to see a game quite like this.